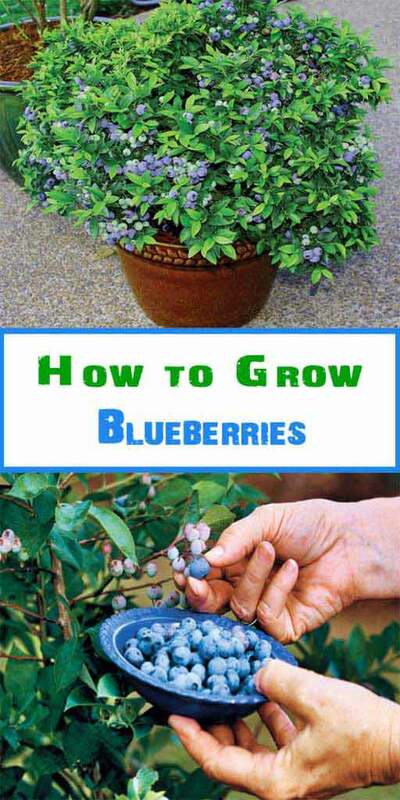 Do you dream of harvesting your own homegrown fruits and veggies, but don’t have a garden with enough space to grow them? It is an often-made mistake a garden requires a large space. 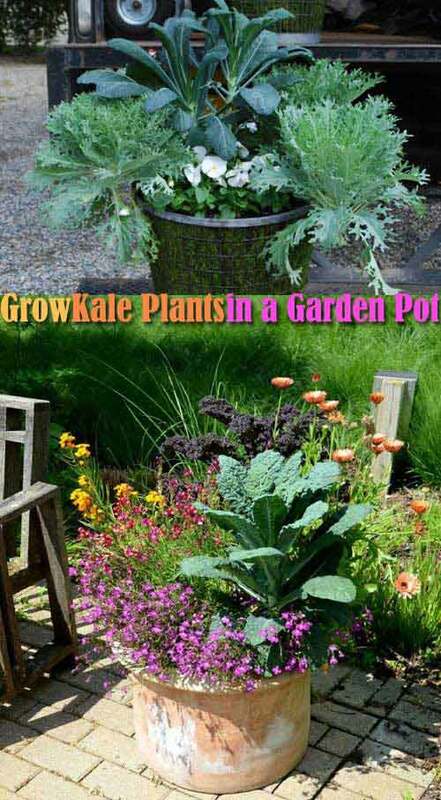 Actually, planting vegetables and fruits in containers is a practical way to let you have tasty, homegrown foods. 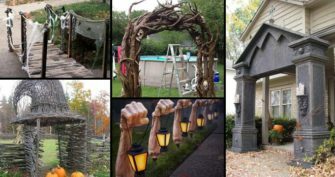 You can arrange this kind of small farm on your doorstep, deck, patio, porch, balcony, or garden. In order to help those people who want to grow their own foods in urban city, we’ve gathered top 26 fruits and vegetables that can be grown easily in containers. 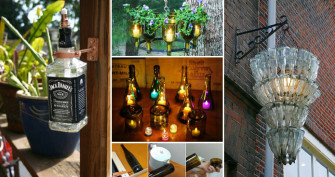 Have a look and choose which one suits your taste the best. #1. 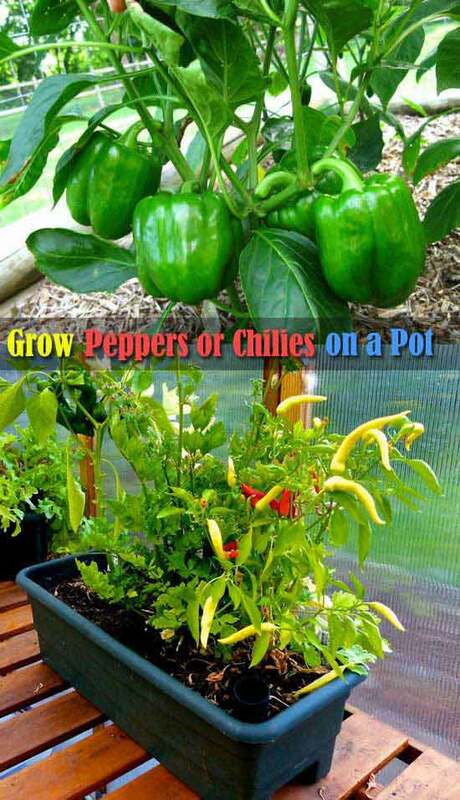 Place the bell peppers or chilies pot in a sunny spot and provide them right soil and organic fertilizer it will get you big harvest. #4. Cucumbers are Easy to Grow in Containers, Just Keep Them Vertically Growing by Using a Stake. #6. You can grow about five kale plants in a 20 inch pot, then you can harvest it many times, picking up the young tender leaves again and again. #7. 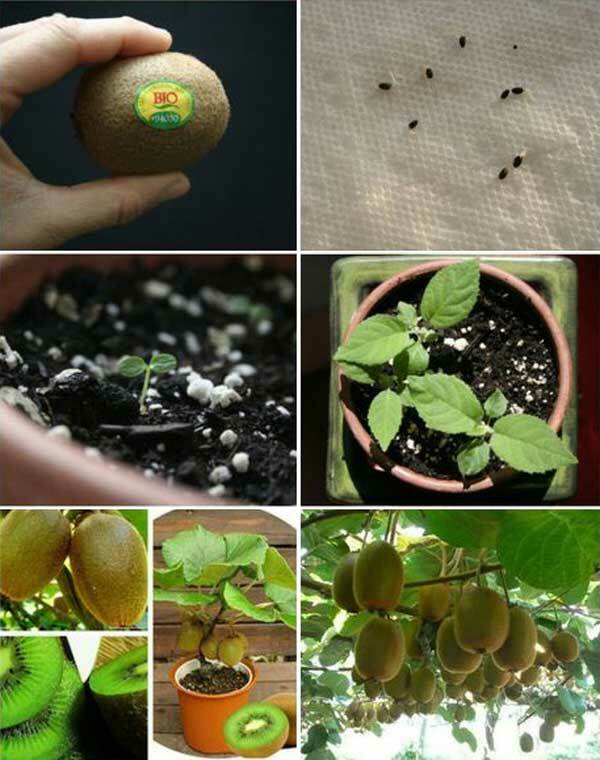 Grow your own Kiwi vines from Seeds in a Pot. #9. This Hanging Sweet Potato Vine Plant is a Sweet Decoration for a Kitchen Windowsill. #10. Peas are a great crop for container gardening, but they do not do well with the high heat of summer. #12. 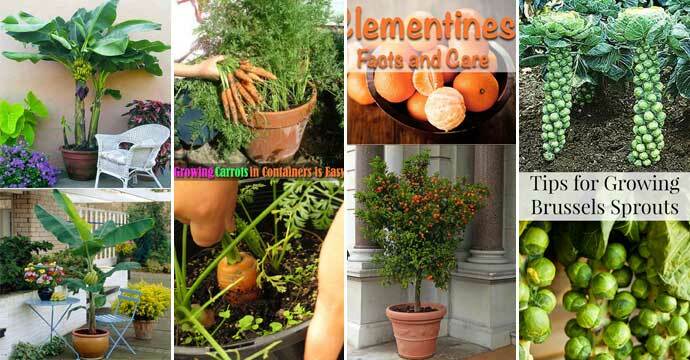 Growing Carrots in containers is easy and it doesn’t take much space too. #14. Planting cauliflower in a container is not very difficult, just make sure you allow for adequate drainage and give them plenty of sunlight every day. #16. It is easy to grow eggplants in containers, you just need to look for a container that is at least 12 inches deep and 16 to 18 inches wide, then keep the container in a full sun and feed heavily. #17. 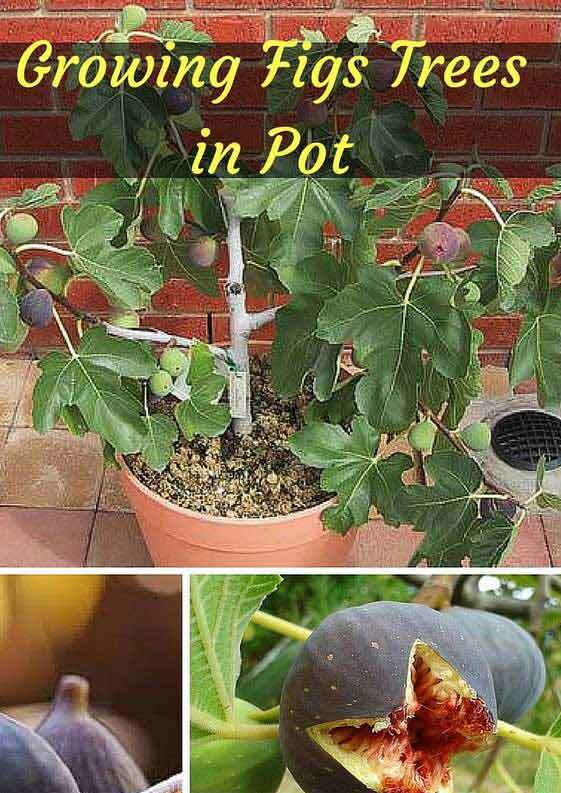 Potted Fig Tree: Figs are sweet, chewy and healthy! #18. 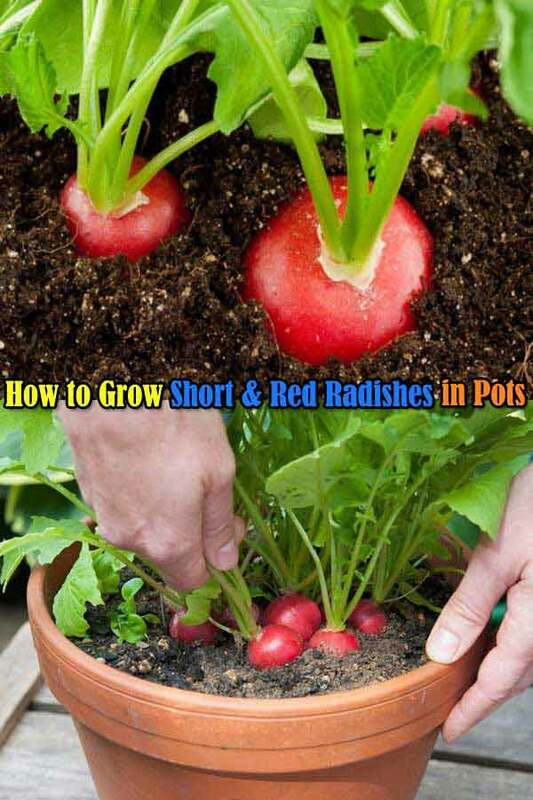 Short and red radishes can be grown in just about any pot you have. 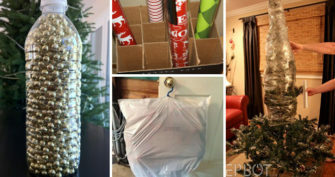 Just make sure that water them every few days and place them out on the patio. #19. Thanks to their compact growing habit, bush beans is one of the most suitable crops can be grown in a container. 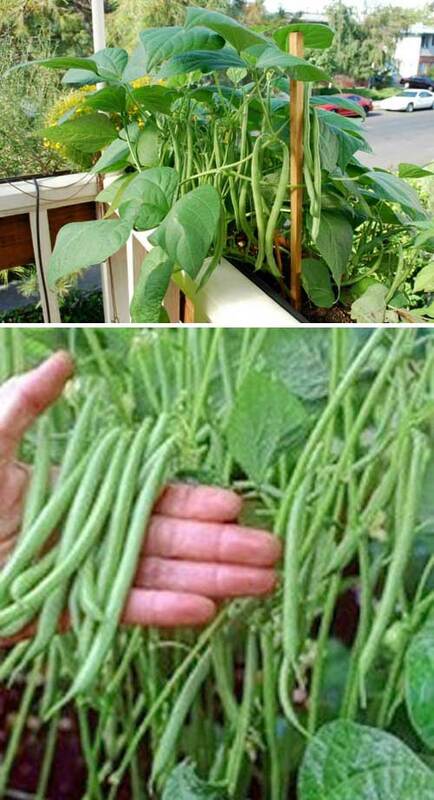 If you do decide to grow this type of beans, add the support structure before you plant. #20. If you love fresh tomatoes throughout the year, you can easily grow them in a pot or even a hanging basket. #21. The most important thing to remember about Spinach or Asian Greens is you will want to make sure it avoids direct sunlight when you grow it. #22. 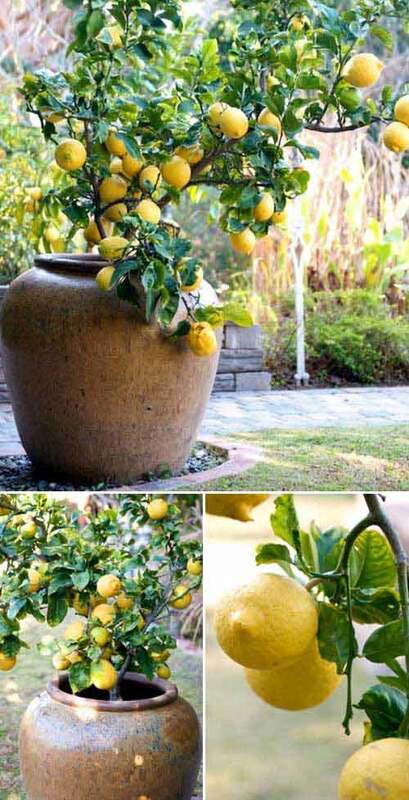 It is very easy to grow pomegranate tree in a pot, as it has shallow root system when compared to other fruit trees. #23. 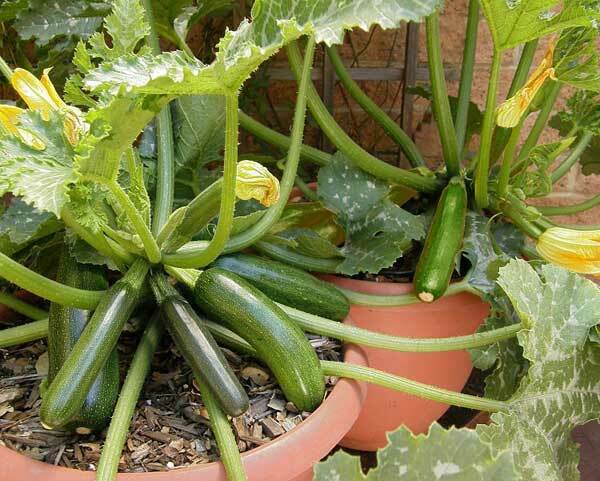 This variety of squashes or zucchini is suitable for containers and small space gardens. #24. Thanks to their vertically growing habit, brussels sprouts can be a suitable addition of a space-saving container garden. #25. Grow okra in containers if you are short on space. 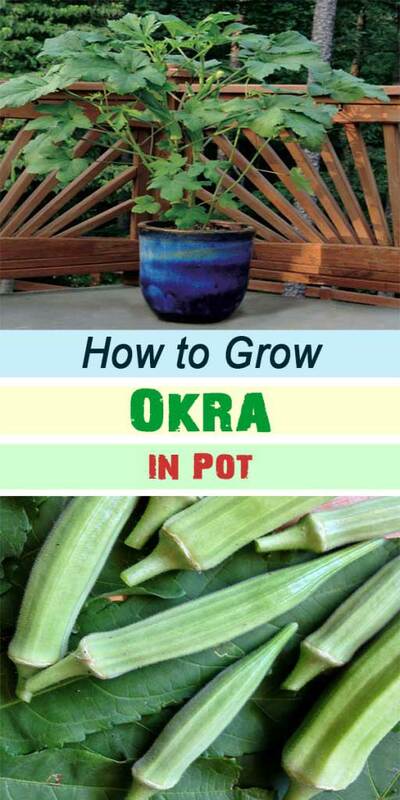 Okra is fast growing in hot climates and ready for harvest in about two months. #26. 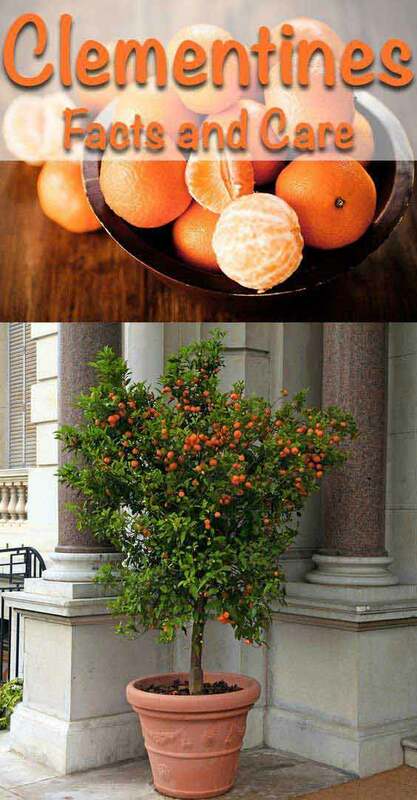 Even though growing clementines in a pot, you will become a master gardener with tons of juicy and sweet clementines to harvest.